Granulocytic anaplasmosis, an acute disease that affects dogs, cats, and other mammals, results from infection with the bacterium Anaplasma phagocytophilum and is transmitted primarily ?? the bite of an Ixodes spp tick. Exposure is most prominent in areas endemic for Ixodes spp. Most dogs and cats exposed to A phagocytophilum do not develop clinical signs, but animals that do develop clinical disease often show nonspecific signs of lethargy, fever, and decreased appetite. Although there are several species in the Anaplasmataceae family that can cause anaplasmosis, this article focuses on A phagocytophilum. 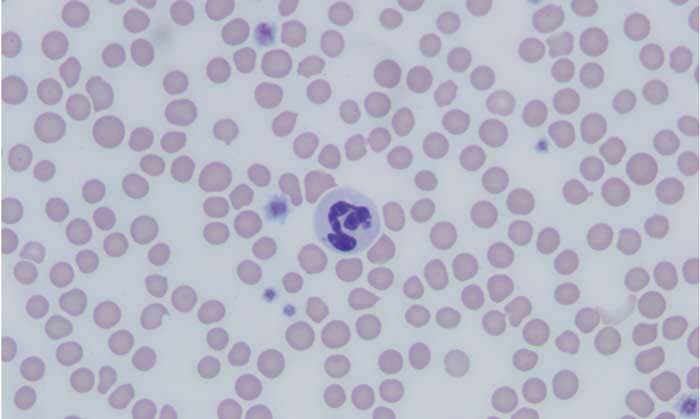 A phagocytophilum, a gram-negative intracellular bacterium, infects neutrophils and, occasionally, eosinophils in a variety of mammals, including dogs and cats. Although the organism is primarily vector-transmitted by the bite of an Ixodes spp tick, transmission via blood transfusion has been described in humans, so dogs and cats that donate blood should be tested for infection prior to donation. Because of the shared Ixodes spp tick vector, concurrent infection with Borrelia burgdorferi has been reported in dogs and cats and may contribute to more severe clinical manifestation than either infection alone. Geographic distribution of anaplasmosis follows that of the tick vector, and the seroprevalence of A phagocytophilum in dogs and cats varies by region. Anaplasmosis has been reported with highest incidence in the midwest, northeast, and western United States. Infection has also been reported in Canada, Europe, Asia, and South America, although more studies are needed to understand vector transmission in areas not endemic for Ixodes spp. mammals occurs within 24 to 48 hours of tick attachment. Disease prevalence corresponds with increased Ixodes spp tick activity and is therefore highest in the late spring and autumn. Seropositive prevalence is increased in older dogs and cats, as these animals have had more years of exposure. Prevalence of exposure to A phagocytophilum and incidence of clinical disease are not equal. Most dogs that test positive for A phagocytophilum infection have no history of clinical illness, and cats that test positive for A phagocytophilum serum antibodies may not have signs of clinical disease. This discordance complicates testing and confirmation of disease. Dogs and cats are often presented within 2 to 3 days (range, 1-14 days) of onset of signs. Acute lethargy, malaise, and decreased appetite are the most common clinical signs on presentation, with signs of lameness, circling, vomiting, and epistaxis reported less commonly. Relevant history includes inconsistent or irregular receipt of antiparasitics or acaricides, travel history, and known tick exposure. Clinical presentation is variable and depends on the strain of bacterium and host variables, including immune response and coinfections. Most dogs and cats exposed to A phagocytophilum do not develop disease or develop only mild self-resolving signs, as suggested by experimental infections and high positive serology in the absence of clinical disease. Animals that do develop clinical illness may show a variety of multisystemic, infammatory signs but most commonly show nonspecific signs of lethargy, fever, and decreased appetite. Lameness or muscle pain, lymphadenopathy, splenomegaly, and, more rarely, neurologic signs of circling, seizures, neck pain, and epistaxis have also been reported. Making an accurate clinical diagnosis can be challenging, as many dogs and cats that are exposed to A phagocytophilum do not develop clinical disease. Determining whether an animal’s signs are attributable to active infection requires a multimodal approach to diagnosis. Diagnosis of acute granulocytic anaplasmosis should include consistent history and clinical signs, as well as support from CBC results, with direct visual examination of a blood smear, serology testing for specific antibodies, and PCR testing. diagnosed with thrombocytopenia in these cases. Treatment is Doxycline, 5mg/kg for 14-28 days. Regular tick preventive use is warranted in animals with outdoor access and animals that live in an Ixodes spp-endemic area, as routine use has been shown to significantly reduce the risk for infection. 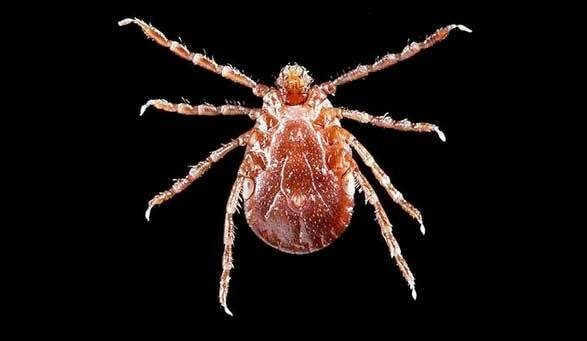 Researchers warn that NYC's Asian longhorned tick population is larger than previously known. A new study maps out the increase and spread of the Asian longhorned tick, a new species identified last summer in Westchester and Staten island. What's particularly alarming is that the tick is notorious for its ability to quickly clone itself through asexual reproduction, or reproduce sexually, laying 1,000-2,000 eggs at a time. The new species, identified last summer in Westchester and Staten island, is increasing and spreading quickly. Staten Island residents have another reason to apply insect repellent and obsessively check for ticks this spring and summer: the population of a new, potentially dangerous invasive pest known as the Asian longhorned tick has grown dramatically across the borough, according to Columbia University researchers. And the tick -- which unlike other local species can clone itself in large numbers -- is likely to continue its conquest in the months ahead. In a new study appearing in the April issue of the journal Emerging Infectious Diseases, Diuk-Wasser and colleagues provide the most exhaustive local census of the new species to date -- and suggest the Staten Island infestation is far more advanced than previously known. The news comes less than a year after the New York City Department of Health announced the discovery of the first member of the species in the city -- a single tick -- found on southern Staten Island last August. Materials provided by Columbia University. Original written by Adam Piore. Note: Content may be edited for style and length. Why is Lyme Disease arguably the most well-known tick-borne disease? One can surmise that the prevalence of Lyme Disease and the regular media coverage about it perpetuates its popularity. Of course, the name is easier to pronounce and remember than the other tick-borne diseases. Instead of talking about the disease first, let’s first categorize the ticks that spread a particular disease or diseases and then follow up with the diseases they cause. Location: Midwest and Eastern United States. Lone Star Ticks are found in Texas, but are actually named “lone star” because of a single white star-shaped dot on their backs. Powassan Disease, Heartland Virus Infection and Colorado Tick Fever are viruses. Note: Powassan virus was first identified in Powassan, Ontario near where I did my veterinary school training in the 1960s! Babesiosis is caused by an intracellular red blood cell parasite. The rest listed above – including Lyme Disease – are all bacterium, and this affects treatment protocols. The length of time it takes for a tick to transmit a disease. For instance, a tick must be attached for a minimum of five hours to infect a host with Rocky Mountain Spotted Fever. The length of time for symptoms to present. If left untreated, chronic conditions of these diseases can manifest differently. What is fascinating about the tick-borne bacterial infections is that we treat the majority with doxycycline or minocycline and/or other antibiotics. This is because several of these bacteria are related. Think of them as second or third cousins. However, these bacteria are not related enough to be cross-protected by the Lyme Vaccine. The Lyme Vaccine only covers the bacteria that causes it: Borrelia burgdorferi. Lyme Vaccine - Yes or No? Choosing the Lyme Vaccine for your pet needs to be weighed heavily. First, you should consider the documented case risk for Lyme disease in your area. Second, you need to assess the exposure risk imposed by your lifestyle. Even in high-exposure risk areas, I would lean to not automatically vaccinating for Lyme disease, because preventative and treatment measures are easily available and reliable. If relevant clinical symptoms do occur, accurate diagnosis is important. Others have similar views. The incidence of Lyme disease in California is currently considered extremely low. Furthermore, use of the vaccine even in endemic areas (such as the east coast of the US) has been controversial because of anecdotal reports of vaccine-associated adverse events. Most infected dogs show no clinical signs, and the majority of dogs contracting Lyme disease respond to treatment with antimicrobials. Furthermore, prophylaxis may be effectively achieved by preventing exposure to the tick vector. If travel to endemic areas (i.e. the east coast) is anticipated, vaccination with the Lyme subunit or OspC/OspA-containing bivalent bacterin vaccine could be considered, followed by boosters at intervals in line with risk of exposure. The UC Davis VMTH does not stock the Lyme vaccine or recommend it for use in dogs residing solely in northern California. There may be select areas in the state, “hot spots” where infection is very high and vaccination would be indicated, but dogs in most parts of the state would probably not receive benefit and may actually be at risk of adverse reactions if a large-scale vaccination program was initiated. For instance, Wisconsin has a much higher risk of Lyme than a state like Maine. However, at our Veterinary Medical Teaching Hospital (VMTH), we have used almost no Lyme vaccine since it was first USDA approved in the early 1990’s. What we have found is infection (not disease), in much of Wisconsin, is low (< 10% infection). As you know, infection does not mean disease. About 3 to 4% of infected dogs develop disease. In contrast, in Western and Northwestern parts of Wisconsin infection occurs in 60 to 90% of all dogs. In those areas, vaccination is of benefit in reducing clinical disease. However, whether vaccination is or is not indicated, all dogs should be treated with the highly effective tick and flea medications available today. Also, vaccinated dogs can develop disease, as efficacy of the product is about 60 to 70% in preventing disease, thus antibiotics must be used in vaccinated dogs developing disease, just like it must be used in non-vaccinated diseased dogs. Therefore, in general areas with a low infection rate of < 10% infection, the vaccine should not be used – as the vaccine will be of no value and may enhance disease (e.g. arthritis) directly or in some dogs that become infected. In areas where infection rates are high (> 50%) then the vaccine will be very useful. Based upon these and other expert opinions, it can be considered irresponsible to suggest that all dogs in low-risk exposure states should be vaccinated for Lyme disease. Veterinarians should know, based on diagnoses in their clinic and other clinics in the area (town), how common the disease would be and then should base their judgment to vaccinate upon risk factors, and not on a statement that all dogs in a particular low-risk area need the Lyme vaccine! “Canine and Feline Vaccination Guidelines.” University of California Davis School of Veterinary Medicine, Nov. 2012. Web. 13 Mar. 2017. McQuiston, Jennifer, DVM. “Ehrlichiosis and Related Infections.” Merck Veterinary Manual, n.d. Web. 13 Mar. 2017. “Ticks.” Centers for Disease Control and Prevention, 16 Aug. 2016. Web. 13 Mar. 2017.